Kara Tippetts was diagnosed with stage four breast cancer. You may remember that during her illness she reached out to Brittany Maynard as a voice against assisted dying. 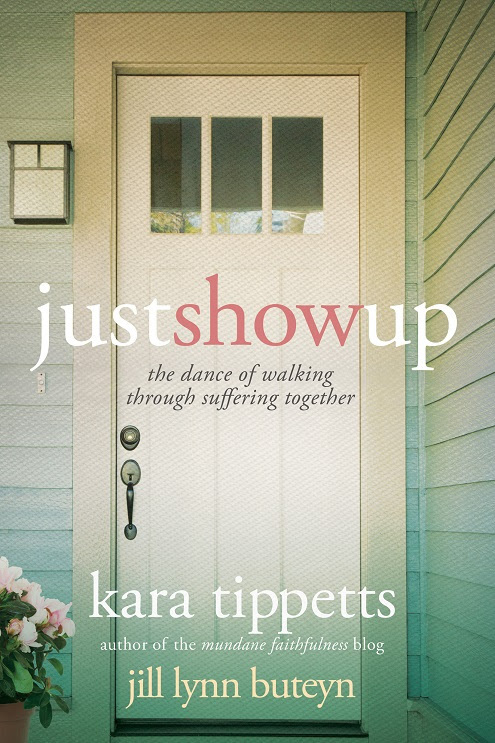 Kara's story involves more than dying; her story reflects the life and love of family and friends. 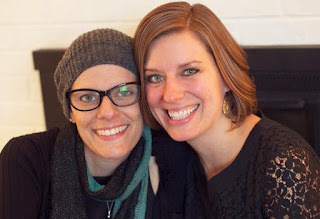 Kara and Jill joined forces to write about their difficult journey. These two young women shared a give and take friendship while Kara went through cancer treatment and eventually hospice. You might think Jill did all the giving and Kara all the taking, but that would be wrong. 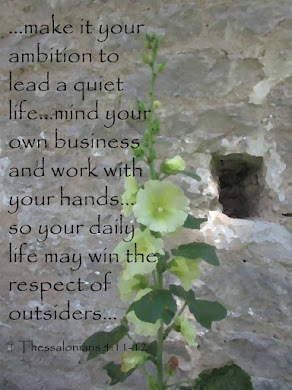 Through their fresh, new relationship each one learned from the other and depended on each other, as well as a slew of friends God set in their path. 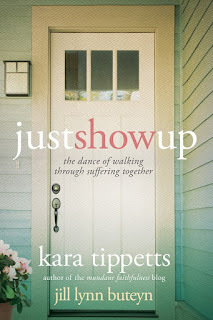 Just Show Up is the most honest book I've ever read. Both authors bared their souls and wrote about the hard times, the good days, the laughter, and the tears. Most of all they shared their journey as a transparent story for the reader to experience in full. Many of Jill's chapters are prefaced by the notes she wrote in reaction to Kara's blog posts, but never mailed. As a relatively new friend of Kara's she shares the insecurity she felt as she plodded her way through giving. Kara gave excellent and raw insight into what it's like to be the person receiving the gifts. As I read the book, I witnessed an amazing faith. This is not a my friend's sick, let's take a casserole sort of book. This is an inside look at what it's like to live out the end of life with a friend and the friend's family. This is a practical guide about when to call ahead, when to volunteer to watch the kids, and when to send a prayer up and remain quiet. As I read Just Show Up my heart went out to the women who circled around Kara and gave of themselves. But at the same time, I saw how these young mothers were blessed beyond measure because they trusted God and just showed up. Five star and highly recommended. I received Just Show Up free in exchange for a fair review.